Located in the heart of Conshohocken, 142 W. 8th Ave is ready for you to call it home. 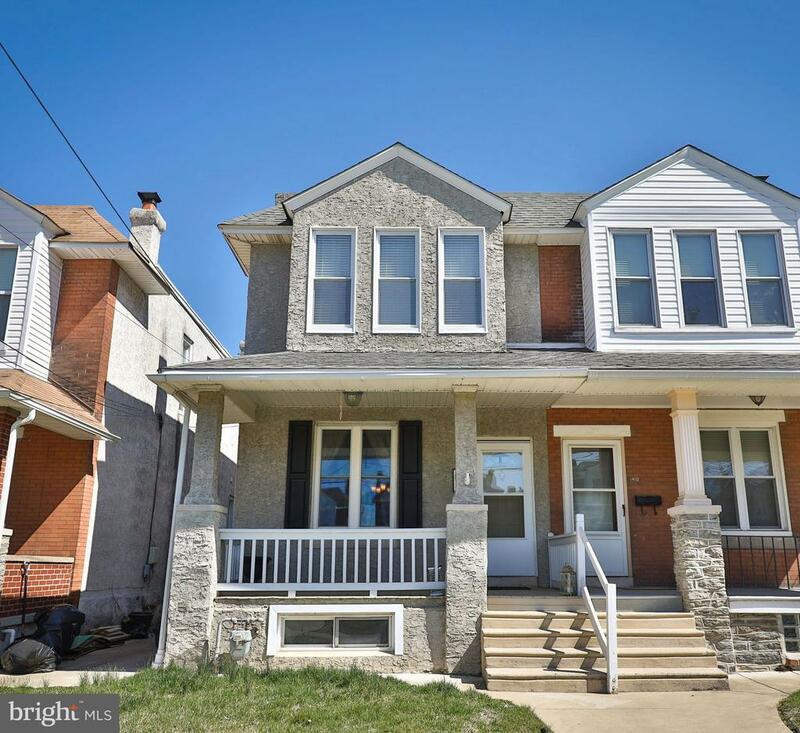 This 3 bedroom, 1.5 bath twin boasts many updates and is move-in ready! Its front porch is idyllic, perfect for unwinding and enjoying the peace and quiet this street has to offer. Upon entering the home, you will be greeted by its bright and spacious living room. Two, unique stain glass windows really add character to this charming space. The dining room is a great space to entertain or enjoy a nice family meal. Situated just beyond the dining room is a beautiful, updated kitchen with granite countertops, stainless steel appliances, a double-range stove, and a breakfast bar. The kitchen also includes access to a fenced-in backyard. The backyard features a sizable deck, great for barbecuing and enjoying some private outdoor time. The 2nd floor has 3 bedrooms with great closet space, particularly the main bedroom. A newly updated, full bathroom rounds out the 2nd floor. It features a Carrara marble floor and a subway tiled shower. The finished basement offers additional living space, along with a storage room and a separate laundry area. Additional features include a half bath with an exposed brick wall, hardwood floors throughout, and lots of natural light throughout. It is located within walking distance to great restaurants, such as The Stone Rose, The Boathouse, The Great American Pub, and Blackfish. This property is a dream and won~t last long! Attend our open house this Saturday, April 13th from 1-3p.m. or schedule a private showing today!